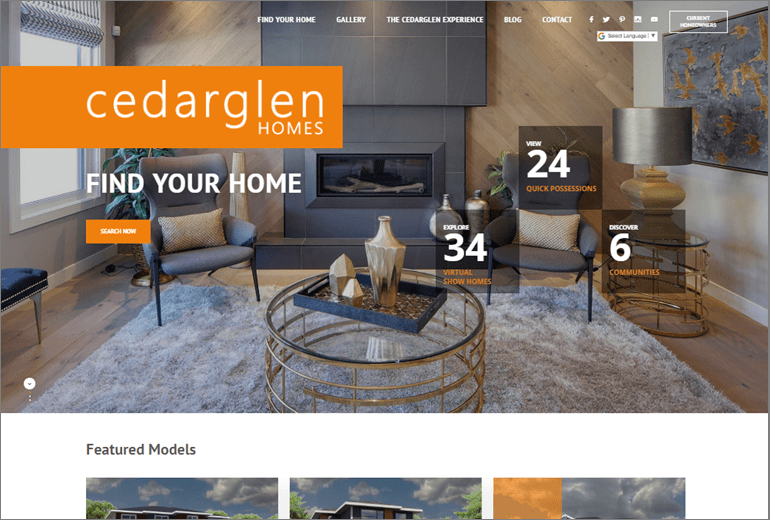 Cornerstone developed a new website for Cedarglan Homes. The new site features a information about all available home models (including floor plans and virtual tours), show homes, quick possession homes available, and community information. The site was built on Craft CMS and is fully responsive, making it accessible across all mobile and tablet devices.